An arm lift, otherwise known as brachioplasty, is a cosmetic surgery procedure that removes or reduces loose or excess skin on the underside of the upper arms. As we age, our skin loses some of its natural elasticity causing our skin to sag. The upper arms are one of the areas often affected. Pregnancy and weight loss can also contribute to the appearance of sagging skin under the upper arms. Brachioplasty is almost entirely done for cosmetic reasons. During the procedure, extra skin is removed from small incisions along the inner arm. You should be prepared to protect the incisions after surgery as there could be considerable dressing around the arms and it is important to restrict physical activity like heavy lifting. Within 6 weeks you should be examined and approved to resume normal activity. There are a number of ways that you can prepare for your arm lift surgery. If you are overweight then you should try and lose weight before your surgery. This will allow your surgeon to remove more loose skin and achieve a better result. Arm lift surgeries require a general anaesthetic and you will be required to have a pre-op appointment approximately two weeks before your procedure. During the procedure, Dr. Metzinger will trim away excess skin and tighten the underlying tissues. This will be acheived via an incision between your elbow and armpit, the length of which will be decided before of your operation, based on the amount of sagging or excess skin that will be removed to earn your desired results. Small drains may be put in so Dr. Metzinger can remove any excess fluid or blood from the wound. Your arms will then be wrapped in dressings and bandages. The procedure should take one to two hours each arm. Recovery from an arm lift can take several weeks. It is generally an outpatient procedure, and once you return home you will be advised to refrain from any heavy lifting. Your bandages and stitches are usually removed two weeks after your surgery; however you can expect bruises and swelling to appear up to a month afterwards. You may be in some discomfort for several weeks after your procedure, and over the counter pain medication should be taken to ease this. 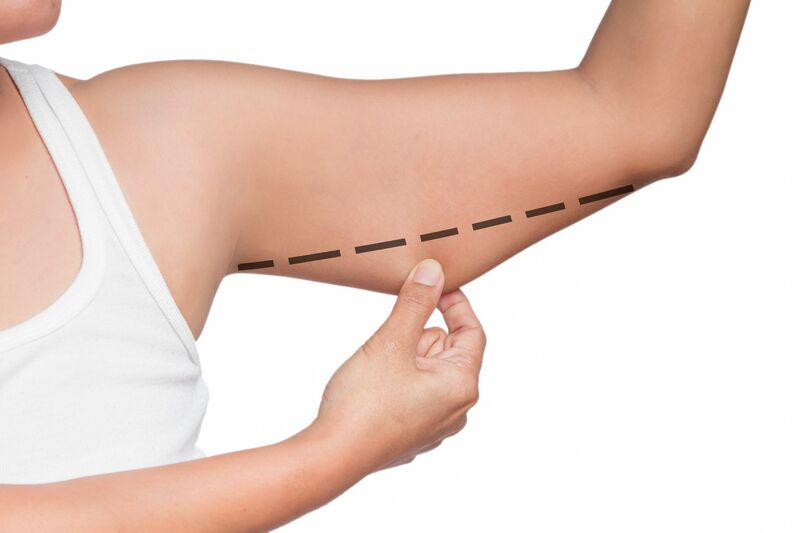 With proper care and time your scarring will fade, and the best results of your arm lift will be evident around 6-12 months after your surgery. If you have any questions or concerns during your recovery, contact Dr. Metzinger's office in Metairie, LA at 504-226-8200 who will be happy to assist you.